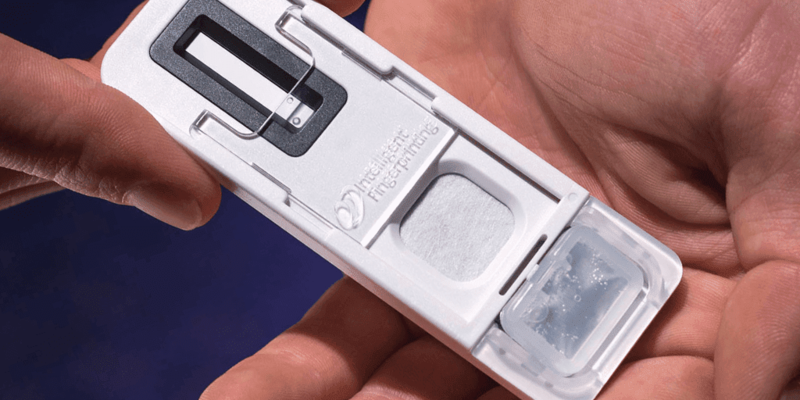 UK-based Intelligent Fingerprinting has signed a three-year deal with UK medical device manufacturing specialist Europlaz to produce critical components for the innovative fingerprint drug test cartridge element of the new Intelligent Fingerprinting Drug Screening System. The Intelligent Fingerprinting system works by analysing fingerprint sweat on a single use collection cartridge. Sample collection takes a few seconds and can then be used to screen for the four main drug groups – cocaine, opiates, cannabis and amphetamines – simultaneously. 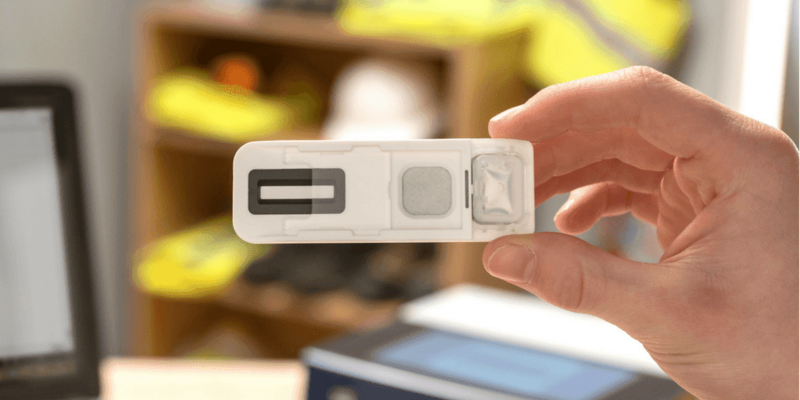 The new fingerprint drug test – which has been fully trialled and is now available to order – has applications across a variety of screening scenarios, including drug rehabilitation programmes, workplace applications, criminal justice and for use by coroners. The device’s performance is highly dependent on two specialised features, its anti-tamper sliding cover which protects the fingerprint from contamination after collection and the sealed reagent release mechanism. Europlaz is a leading contract medical manufacturer specialising in the production of the highest quality plastic injection moulded components, sub-assemblies and finished medical devices. 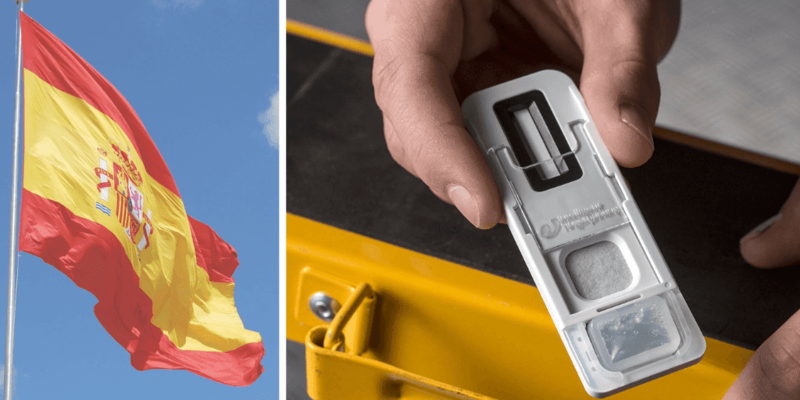 The company has worked closely with Intelligent Fingerprinting on the manufacturing development of its small, ergonomically-designed and tamper-proof single use cartridge for drug screening. Key elements addressed by Europlaz in the process include precision moulding to create a ‘living hinge’ that supports the cartridge’s buffer clip, as well as a number of high quality features for the cartridge’s secure sliding cover. The two-part Drug Screening System consists of single-use, tamper-evident Intelligent Fingerprinting Cartridges (for sample collection) and the portable Intelligent Fingerprinting Reader 1000 analysis unit. The Cartridge uses lateral flow assay technology and fluorescence-labelled antibodies to selectively detect specific drugs or their metabolites in eccrine sweat collected from a single fingerprint. Europlaz provides a complete solution for contract medical manufacturing, with state-of-the-art cleanroom facilities and an emphasis on continuous improvement. The company has the UK’s largest cleanroom injection moulding machine, and over 40 years’ experience in the design, manufacture and assembly of injection moulded components. Europlaz is an innovative, full service supplier to both international blue-chip medical device companies as well as start-up operations. Intelligent Fingerprinting also works closely with universities, measurement and testing bodies – including organisations such as LGC, University of Surrey and the UK National Measurement Laboratory and Designated Institute for chemical and bio-measurement – to support the wider development of fingerprint-based drug screen analysis methods and future research into fingerprints as a diagnostic matrix. Founded in 2007, Intelligent Fingerprinting is a spin-out company from the University of East Anglia (UEA). The company is based in Cambridge, England and currently employs around 30 people. Since 2012 Intelligent Fingerprinting has raised £11.23m in funding from a consortium of private UK and US-based investors, as well as government funding for pilot studies within the UK’s National Health Service and Coroners’ services.